A relic from an era gone by! 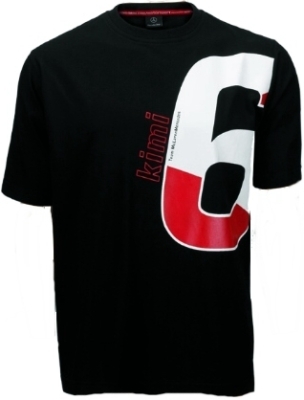 Official Mercedes-Benz Kimi Raikkonen ''6'' T-Shirt. Short sleeve t-shirt with large # 6 print in red & white. This is of course official McLaren merchandise.